Standard treatment guidelines in psychiatry recommend that neuroleptic drugs are continued indefinitely after a person has experienced more than one psychotic episode. These recommendations are based on studies which have found a higher rate of recurrence of psychosis among those who stop as compared to those who remain on drug. Anatomy of an Epidemic raised concerns about the long-term outcomes for those who remain on these drugs. Most psychiatrists, including me, assumed that by reducing risk of relapse one would be improving long-term outcome. However, there seems to be reasonable evidence that this assumption is not correct. Not only does long-term use of drugs expose people to the risks of weight gain and tardive dyskinesia, the drugs may also impair functional outcome. My own view is that this is a discussion psychiatrists need to have with their patients. A person may choose to accept a higher (and not inevitable) risk of recurrence of psychosis as a way to minimize the long-term risks of negative outcomes associated with staying on drug. While it appears that psychiatric authorities continue to favor long-term use of drugs for most people who have experienced multiple episodes of psychosis, there is less uniformity of opinion regarding recommendations following a single psychotic episode. Current guidelines recommend drug treatment for two to five years, the idea being that if a person remains well during that time, it might then be safe to stop the drug. A recent study by Tiihonen and colleagues, “20-Year Nationwide Follow-Up Study on Discontinuation of Antipsychotic Treatment in First-Episode Schizophrenia,” published in The American Journal of Psychiatry, is an attempt to shed light on this issue. The authors’ conclusion stated in their abstract is that “contrary to general belief, the risk of treatment failure or relapse after discontinuation of antipsychotic use does not decrease as a function of time during the first 8 years of illness and that long-term antipsychotic treatment is associated with increased survival.” This is a sobering finding and the paper warrants careful review and reflection. It is hard to study outcomes over extended periods of time. To address this problem, Tiihonen and colleagues have been using, as the basis of their research, the extensive databases available from registers in Finland that allowed them to determine diagnosis, hospitalizations, and death. From the national prescription register, they can determine reimbursed medication dispensations to all residents of Finland. 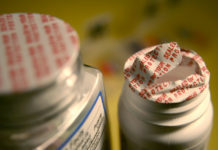 Reimbursed medications is used as a proxy for medication adherence. In this study, they were interested in the correlation between adherence to medication after a first hospitalization during which a person is diagnosed with schizophrenia with subsequent re-hospitalization and death. By determining who was adherent to medications and for how long, they could determine whether longer adherence would correlate with reduced rate of re-hospitalization. The cohort under study included individuals who had been admitted to a psychiatric hospital between 1994 and 2014 and given a diagnosis of schizophrenia. To identify those who were experiencing a first episode, they excluded any individuals who had been prescribed an antipsychotic drug for the year prior to this index admission. From this group they excluded anyone who was re-hospitalized or died within 30 days of discharge from hospital. At that point (30 days post discharge from index hospitalization), they identified 4,217 users of antipsychotic drugs and 3,217 non-users. Of the 4,217 users, 1,714 were subsequently identified as discontinuers if during the follow-up period they stop having prescriptions issued to them. That group was further subdivided according to the time between discharge from first hospitalization and stopping of drug: <1 year (1,019), 1-<2 years (284),2-<5 years (274) and greater than 5 years (137). They then analyzed these groups over time until they died, were re-hospitalized, stopped drug (for users), or started drug (for non-users). The authors had thought that those who remain on drug for longer periods of time might have better outcomes when the drugs are stopped, but this is not what they found. While the continuous users did best with regard to re-hospitalization rate, the group that did second best were those who stopped immediately. The longer one remained on the drug, the greater the risk of re-hospitalization if the drug is stopped as compared to those who remain adherent. The group that fared worse were those who stopped after five years. They also analyzed death rates and in this analysis, they compared three groups: continuous users, non-users and those who discontinued within one year (these were the groups with the highest numbers). The death rate was highest among non-users and best among those who had continuous use of drug although the deaths in all groups were low. This paper supports a recommendation for long-term use of the drugs even among those who have only experienced one episode of psychosis. This paper offers a bird’s eye view. This was naturalistic in the way that Harrow’s work was naturalistic; the numbers are much bigger but outcomes are cruder. Tiihonen uses re-hospitalization as a proxy for relapse whereas Harrow and colleagues met with each person and conducted extensive assessment. Harrow studied individuals for 20 years regardless of outcome. In this study, the follow up period ended when the person was hospitalized or died. In that regard, this study privileges relapse in the way that so many other studies have done over the years. We do not know anything about quality of life. Implicit in the treatment recommendations that may come from this study is that it is never safe to stop an antipsychotic. While that may be true if “safe” is synonymous with reducing one’s chance of re-hospitalization, it may not be true if we were able to evaluate different kinds of outcome measures. There is other valuable information in this data. Over 43% of individuals never start the drug and by one year, almost 57% have stopped. By the end of the study, 33.6% of the total cohort of 7,434 are still on drug. People do not want to take these drugs and regardless of this data, we still need to figure out how to engage with them in ways that might help them navigate the world with less risk to their well-being and safety. It is also interesting that while treatment failure was higher among the discontinuers (38%), it was not exactly low in the adherent group who was used as a match sample (29.3%). Obviously, this means that the rate of remaining out of hospital is 62% for those who stop and 71% for those who remain on drug. A reasonable person might chose those odds and decide to stop especially if there is a plan in place to try to intervene if problems arise. In this study, we know nothing about treatment, the way the drug was stopped, or overall quality of life. We also do not know what happens to those who do have a second hospitalization. It is assumed that one relapse indicates that long-term treatment is advised but I no longer believe that. That is where other sources of data have relevance for me, but these are the kinds of data that tend to be discounted. This is first person experience, qualitative analysis, self-report. I have met too many individuals in the survivor community who took some time to sort out their troubles but eventually found some peace without the drugs. Eventually some chose to take some medications but not everyone did. For those who found their way through, it seemed to take years. That is what is suggested in the Harrow data. At two years, those who are not on drug are still experiencing a high degree of psychosis. Their improvement is only observed after 4 years. In contrast, those on drug continue to experience a fairly high rate of symptoms. I listened recently to a short story written by a former girlfriend of Will Hall. 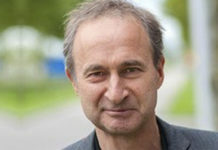 Will is a brilliant man who has written about his own experiences with psychosis and has literally written the book on ways to stop psychiatric drugs. The story, by Susie Meserve, is part of an anthology, Show Me All Your Scars: True Stories of Overcoming Mental Illness. This funny and touching story chronicles their life together for a brief time. I confess to harboring private wonderings, having met Will, heard him speak, read his writing, that perhaps he was not “truly” psychotic. This is not an uncommon reaction from psychiatrists who meet a person who appears to have recovered from psychosis. Something in this story helped me to understand that if I had met Will during his tougher times, I would likely have concurred with the diagnosis, schizophrenia, which was bestowed on him. And in that era, I would likely have predicted dire consequences when he chose to ignore the medical advice that he remain on the drugs. I would have been worried when he struggled and I would have suggested he resume the drugs. His story helps me understand that there are other paths and this is a message I can share with the people I see as well as with worried families. On the other hand, I have known people who are so tortured by their experiences that there seems to be little room to engage. They are overcome by their world that can be distorted to the point that there is no safety for them even with those who are eager to just make a connection. For them the drugs can be enormously helpful. I know others who are horrified by their psychosis and want to do everything they can to prevent a recurrence. Even if the drug only confers a slight advantage, they chose to take them. And I do not discount those worried families. They are often experiencing their own trauma. Psychosis can be very scary for those who are trying to care for the person at the center of concern. I understand their wish to prevent it. I just want them to have a full understanding of what the drugs can and cannot do. This paper offers some comfort to those who chose to stay on the drugs. It suggests that we must always be cautious when stopping them. But I would still assert that it does not tell us that staying on the drugs is the best path for everyone. Dr Sandra, Thank You for the Review. As far as I can see if a person remains on strong neuroleptics they’ll remain disabled as these drugs are very disabling – and they’ll remain long term psychiatric patients. I tapered off strong neuroleptics in 1984, purely so that I could function, and stopped claiming Mental Health Disability Benefit at the same time. But, it would have been very difficult for me to stop taking neuroleptics without learning how to deal with the “Rebound High Anxiety”, Robert Whitaker writes about in his books. (After tapering from high drug dosages I continued to take miniscule amounts for years, but these disappeared of their own accord). I believe that a lot of the Psychosis you mention is Drug Withdrawal Rebound Psychosis. I also believe that most people diagnosed as “schizophrenic” are not “schizophrenic” at all, and that each person has their own story. From which country do the data come from? In France, there is a psychiatric practice according to which a person who stops compulsory outpatient treatment will be readmitted “even if he has not relapsed”. Thus, if this study had been conducted in France, the “relapse rate” of dropouts would have been artificially inflated well beyond the real relapse rate. Note that this psychiatric rule is not legal: it has already been condemned by the courts. But that’s what is done. It is explicitly written on outpatient care programs. There is enormous social pressure, overwhelming social pressure for the continuation of treatment “ad vitam eternam”: from psychiatry, from family and from state. Thus, those who openly stop neuroleptics are the most crazy of all, because they know they will be rehospitalized by their family or by the state. This circle of rehospitalization, release, abrupt cessation of neuroleptics and rehospitalization is the most vicious of all and probably leads to the highest rate of suicides. In the well-known Vermont study, in-depth interviews revealed that two-thirds of patients who reported taking regular medication were lying. Up to one-third of people buying drugs may not actually take them at all, and these people may have the lowest rate of relapse because they are also the smartest. This will artificially inflate the recovery rate in the allegedly compliant group. Due to ignorance of common strategies for escaping psychiatry, this study has a powerful bias. It is therefore not surprising that its results are contrary to those of the Harrow study or the Vermont study. In-depth interviews, a relationship of trust with the investigators avoids these biases. “may be proposed” means “will be proposed to the director of the hospital”. It is obviously not the patient who decides. As you can see, there is no need for a relapse to be rehospitalized: disobedience is enough. Sandra means well, but fails to account for those of us who went psychotic from an SSRI, as well as those who aren’t helped and may get more out of touch from reality from taking neuroleptics. I’m sure she has read about tardive psychosis. I congratulate her on her honesty and referring to these drugs by their proper titles “neuroleptics” since they aren’t always antipsychotic. How many people diagnosed with schizophrenia–like Will Hall–would recover undrugged? is the question she and others should be asking. Thank you, Sandra. I wish more people did. Off my “cocktail” I no longer have mood swings. Maybe even more importantly is to address the glaring point that “diagnosis” hasn’t science behind it but much bias and complete subjectivity. I had received the schizophrenic/schizoaffective tag decades ago while experiencing severe flashbacks. The label, as all others in “mental health” are peer accepted after all, so to base any conversation around them is to lend them credibility they do no necessarily deserve. Thanks Sylvain. I too know that in France, coming off psy medication, is very difficult because there are absolutley no opportunities unless one does it without permission. I was given permission to stop depot medication in October 1983 and I managed to stop in April 1984. Between October 1983 and April 1984 I had 4 hospitalizations one suicide attempt and one near suicide attempt. Every hospitalization was classified as a “breakdown” and the last hospitalization had the worst prognosis – and then I recovered. I didn’t write up the hospitalizations, so there wasn’t much I could do about it! It’s very very difficult to come off these drugs, and when a person is unsuccessful they are usually classified as having “relapsed” when in fact they have “rebounded”. The hopitalizations were “written up” by the more junior doctors with the Consultant Psychiatrist/University Researcher, looking over their shoulders. Sorry about your son’s painful experience–and yours, Rossa. My “psychotic” episode came about from not sleeping for 3 weeks while on Anafranil. It made me trip out like a bad acid from the 60’s. Hard to discuss a chimera such as “psychosis” with much intelligence or clarity. Plus, I agree, it needs to be pointed out that it is already medically known that the amphetamines (the ADHD drugs) can make people “psychotic.” Cocaine is illegal for a reason. And both the antidepressants and antipsychotics can make people “psychotic,” via anticholinergic toxidrome poisoning as well. 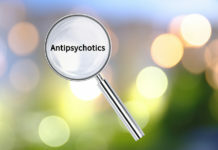 Plus it is also known, but still denied, that withdrawing from the antipsychotics can cause a drug withdrawal induced “super sensitivity manic psychosis.” So the antipsychotics do make people “psychotic,” both when on them, and when withdrawn from them. The psychiatrists deny this in real life practice. “Tiihonen uses re-hospitalization as a proxy for relapse whereas Harrow and colleagues met with each person and conducted extensive assessment.” Which makes Harrow’s research much more valid. My situation is an example. I was hospitalized twice, but I ran into the misfortune of dealing with very unethical doctors the first time I was hospitalized. I was illegally dragged out of the privacy of my own bedroom, as one of the paramedics pointed out, because I was “neither a danger to myself nor anyone else.” I was taken to a hospital due to a sleep walking and talking issue one night (likely a result of a drug withdrawal induced super sensitivity manic psychosis, at least during my dreams, which manifested into the sleep walking and talking issue one night.) All my doctors were trying to cover up a prior “bad fix” on a broken bone and medical evidence of the abuse of my child, according to all my family’s medical records. I was “snowed” by an unethical psychiatrist who was partners with this now FBI convicted doctor. I was let out of that hospital after my health insurance company refused to pay for me to be medically unnecessarily committed to a mental health hospital for life, as that unethical psychiatrist had hoped. She started illegally listing me as her “out patient” at a hospital I’d never been to right after this, I later learned, from health insurance companies. Despite the fact I chose to do the mandated after care with a different psychiatrist. He eventually weaned me, once again, off the psychiatric drugs. This time it landed me in Millennium Park in Chicago, staring up at the clouds, bothering no one, trying to mentally come to grips with the unbelievable reality that I’d found the medical proof that the antipsychotics create psychosis, via anticholinergic toxidrome. For no reason other than lying in a park, minding my own business, I was taken to Northwestern Memorial Hospital by a policeman. The unneeded physical, given without my signing HIPPA forms, resulted in a “medically clear” diagnosis. But I was not allowed to leave, due to my good health. Instead, in the middle of the night, I was medically unnecessarily shipped a long distance to the unethical, psychiatric partner of the FBI convicted doctor, who had been illegally listing me as her “out patient” at a hospital I’d never been before. Obviously, the doctors break the HIPPA laws. “We also do not know what happens to those who do have a second hospitalization. It is assumed that one relapse indicates that long-term treatment is advised but I no longer believe that.” You are correct, Sandra. Once again, this unethical psychiatrist forced drugged me with an antipsychotic, which I told her NOT to do, because I already knew I was allergic to her drugs. This unneeded treatment resulted in my pounding on my chest and all the other psychiatrists and “mental health workers” there claiming they’d never seen such an adverse reaction to the antipsychotics. So none of the other doctors thought treatment with that drug class was wise for me. I was then lied to, and told I needed to take Ciprofloxicin, for a non-existent UTI. This drug is known to cause “psychosis.” It made my heart feel like it was going to stop, so I was taken off it after two days. That unethical psychiatrist’s prior “bipolar” misdiagnosis was then downgraded to an “adjustment disorder” diagnosis at the end of the week. And I have not dealt with any other crazy, defamatory, iatrogenic illness creating psychiatrists since then. You’ve been lied to psychiatrists. Please wake up. Everything you’ve been taught is wrong. Everything you believe in is wrong. “… all [people] are created equal, that they are endowed by their Creator with certain unalienable Rights, that among these are Life, Liberty and the pursuit of Happiness.” Stop functioning as the enemies within, as the Nazi psychiatrists did, and the Bolshevik led psychiatrists did. You were deluded. Please wake up, psychiatrists, and all your DSM deluded “mental health professional” minion. Does crippling and killing people while believing you are helping them constitute psychosis? I don’t remember the exact quote but I think C.S. Lewis stated something along the lines that the most dangerous people are those who are willing to do damage to you, and they do it willingly and with great gusto, for your own good. To damage you “for your own good.” Lewis was critiquing forcibly rehabilitating “sick” criminals in an essay. I believe it’s in the collection called God in the Dock. Psychiatry has taken it a step further and is treating innocent people like the “sick” criminals they are “rehabilitating” due to superficial traits we may share. Creepy, dangerous stuff! In That Hideous Strength, Dr. Frost acts like the perfect shrink. Cold, emotionally detached from his own and others’ humanity. Brutal in his efforts to control others.